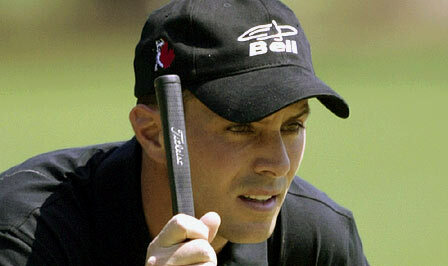 So I recorded yesterday’s broadcast on the family PVR with the intention of watching Mike Weir, who was the leader for much of the day, on CBS Sports’ broadcast of the AT&T Pebble Beach Pro-Am. What did I get? Lots of Bill Murray, some country singer I’d never heard of (largely because I dislike contemporary country. More of an alt-country guy) and a bunch of shots of Phil Mickelson flubbing short putts. Oh, and then after three minutes of coverage, much of which was shots of the ocean crashing along the shoreline, CBS would cut to commercial. Since I was watching the broadcast while running on a treadmill, it meant I had to get off every three minutes to grab the remote and blast through the advertisements. After about a half hour, I gave up. Too much Phil, too many commercials and not enough Mike. No wonder everyone enjoys watching the Masters, with its limited span of commercials. Agreed on Saturday’s telecast. Awful, unless you were interested in seeing Ray Romano, George Lopez, Bill Murray or Tom Brady. It wasn’t a case of not seeing Weir, you did not see any of the pros. Did get to see Mike today, it just wasn’t good. He never looked comfortable. First week in April can’t get here soon enough. I totally agree. Too many unshaven hacks called stars. And how about they mix in a shower? Did you see how greasy some of their rugs were? Come on Glen Campbell, shower!